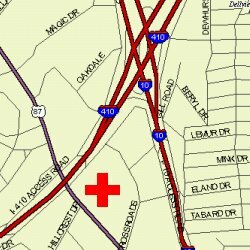 At the end of March 2001, Alamo PC moved into Crossroads Mall. The Alamo PC Organization Computer Learning Center is located within Crossroads Mall, at IH 10 and Loop 410, in San Antonio, Texas. There is VIA Bus Service to the mall and to the nearby Crossroads Park and Ride. Alamo PC's Business Office is run by a staff of hard working, dedicated, friendly volunteers. The staff helps to keep visitors and members up to date on Alamo PC classes, events, and daily business operations. 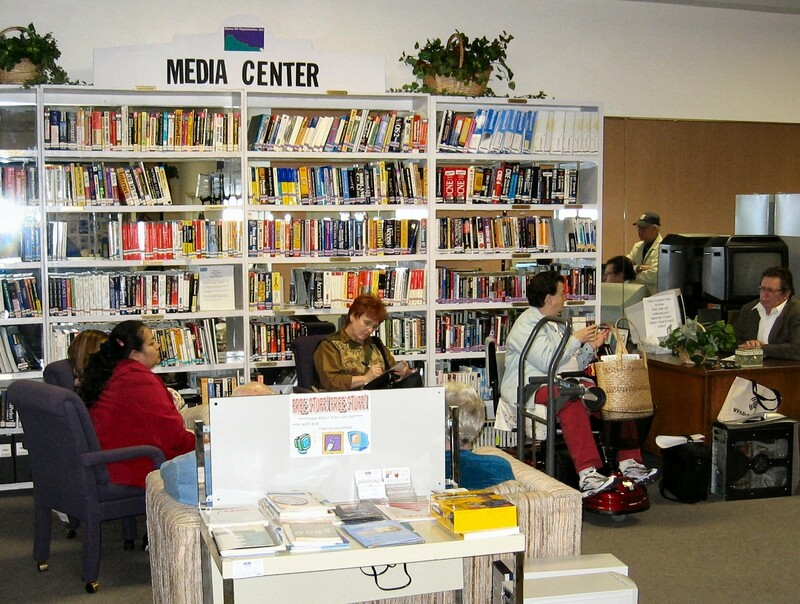 The Computer Learning Center is staffed by Alamo PC volunteers and is therefore not open all the time. We recommend that you call before you stop by to make sure there is someone available to help you. The Computer Learning Center is open many evenings for Events, Study Group, Class, or Clinic Meetings. Although you are welcome to stop by, be aware that the Instructors will be busy leading their groups and may not be able or willing to disrupt a class to greet drop-in visitors. We are always looking for more volunteers. If you would like to help run our Computer Learning Center, contact the manager. How can I or my business help Alamo PC? 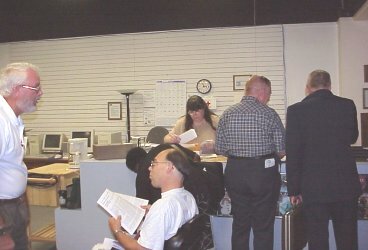 There are volunteer opportunities for members, for all levels of computer expertise and all levels of commitment. As a 501(c)(3) IRS-qualified corporation, donations to Alamo PC are tax exempt. Cash awards or discounts to pay for items not available through donations. 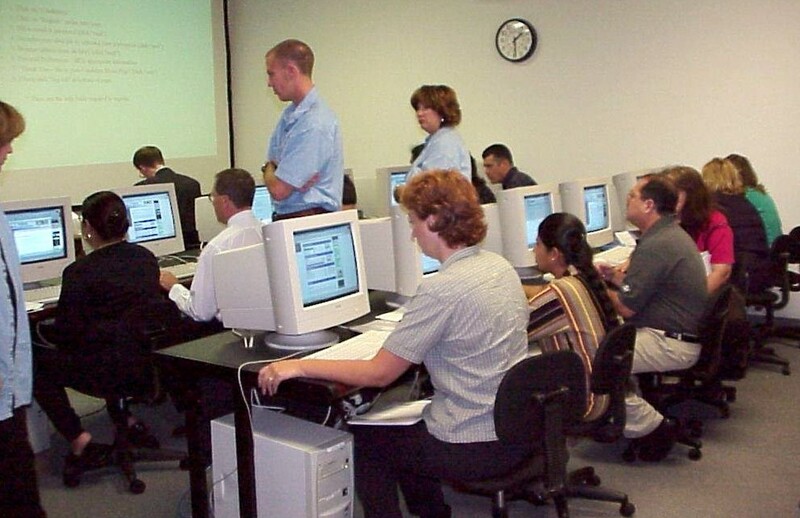 Donations of state-of-the-art computers and networking material to complete the hands-on labs. A Pentium-based laptop computer. to use for community outreach. A computer projection system, to be used for SIG's, classes, presentations, and outreach. Software, licensed for 35 computers, to be used in the hands-on labs. 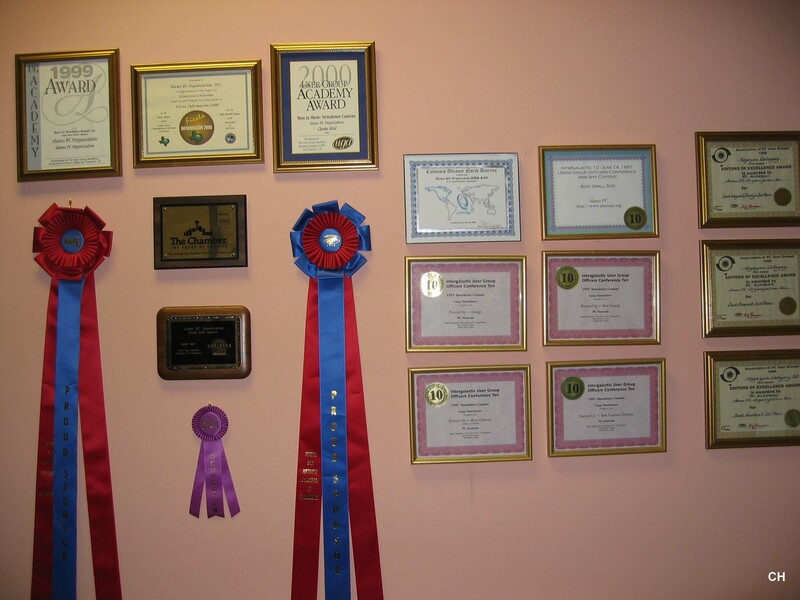 We also have a classroom / demonstration area available for lecture classes and special demonstrations. Thanks to the generous donations of our members, Alamo PC has a small but steadily growing technical reference lending library. Books on programming, software applications, even computer related mystery novels are available to be borrowed by our members. A small selection of donated videos related to software programs are available for viewing at the Computer Learning Center. Please ask the staff for a list of the available videos. The archived collection of the PC Alamode Magazine from it's days as a four page newsletter to the current award winning monthly editions. Copies of the archived magazines are available to be read at the Computer Learning Center. We keep a small selection of pamphlets and publications on hand for members and visitors to pick up. These are publications provided by various national and local vendors, user groups, and member businesses. Alamo PC management reserves the right to remove any publications placed in the Computer Learning Center. If you have books, videos, items or funds to donate to the library, please contact the Computer Learning Center Manager for donation procedures. The PC Alamode Magazine, through the hard work and dedication of the editors and staff. The Volunteer of The Month and The Member of the Year. From time to time, we receive special limited offers or donated software we make available to those visiting the Computer Learning Center. These items can be found on the freebie table. When available, back issues of the PC Alamode Magazine may also be found here. All items are available on a first come, first served basis with no guarantees on any donated items. Alamo PC is fortunate to have a nice Computer Learning Center located in a popular location within Crossroads Mall. Visitors from the Mall constantly drop in and at times we may have as many as six Study Groups or Classes meeting in one day. Alamo PC members and volunteers are largely responsible for keeping the Computer Learning Center clean. We have allowed food and drink during events at the Computer Learning Center, knowing that many members and instructors come straight from work in the evenings with no time in-between for dinner. However, there is no one in the club who wants to clean up a mess left by an inconsiderate person. Trash left behind has not only included food and drink containers but wadded up papers thrown on the floor, or left on the desks. It is also irritating to come in and find bits of paper left all over from someone tearing sheets out of a wire binder. There are paper towels in the rest room to clean up wet messes. There are also trash receptacles in the room as well as in the mall corridors. The mall receptacles are the ideal place to throw away food trash. If you happen to make a mess, be sure you clean up before you leave. It would be a shame to have to say no food or drink. Please be considerate of the next person.